In real estate, the saying goes, it’s all about location, location, location. When it comes to undertaking a construction project, such as the installation of a swimming pool and the design of the surrounding area, you might say it’s all about local, local, local. That is, as in going local when contracting for the project. There are many reasons for hiring a local company, beginning with the fact that you won’t have any issues finding someone to speak with whenever you have questions. Instead of dealing with a big regional – or even national – company where your phone calls could be routed hundreds, if not thousands of miles away, you can walk into an office and meet with a contractor who is part of your community. Chris Dittrich, owner of Shoreline Pools, is entrenched in the Cape Cod community and most of our employees are year-round residents who have been with the company for years. 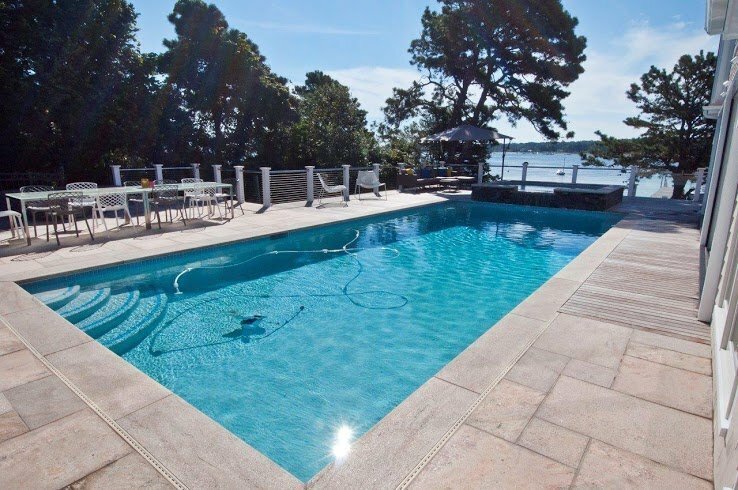 Therefore, we understand the climates, even micro-climates of the Cape, and how they’ll affect your pool and surrounding landscaping and hardscaping. As your local contractor, we know it is critical to develop relationships and build a solid reputation with the community, so we treat our clients with care and professionalism. With an out-of-town contractor, you could be left in the dark should problems arise. Hiring a local contractor also keeps money in the community. Small local businesses drive a local community, and local contractors are truly interested, just as you are, in making sure the community is financially stable. After all, they also live where you do. Hiring local also gives you peace of mind. There is little more important than checking references before embarking on a major project. With a local contractor, you can easily investigate their reputation, ask around about other projects they have done, maybe even talk to a neighbor or friend who has previously used the same contractor. So, you can actually see the work they do. It is nearly impossible to get a company history from out of state vendors. Local contractors are familiar with city codes in your area. If the job is not competed according the local city codes, it will be your responsibility to pay for costly repairs. Someone from out of town is not coming back to fix it. Local contractors also purchase quality materials because they have developed a good relationship with local vendors. They may even receive better pricing on products, which results in a savings for you. Finally, a local contractor will care more about maintaining their reputation. An off-Cape firm won’t see you as an individual but more as a statistic. But a local firm will work to build not only your pool, but also a relationship with you. Simply put, hiring local is always an advantage that benefits you and your community.